The following are background music pieces commonly heard throughout Inhumanoids. The incidental music heard here was composed by Robert J. Walsh. I do not own any rights to any of the music. All files have been edited by myself, and are mostly dialogue free, but not sound effect free. Inhumanoids presented a unique challenge in terms of compiling music. Despite being one of the best cartoon shows of the 1980s, as well as having one of the best soundtracks, the series itself lasted for only 13 episodes. Unfortunately, having such a limited amount of source material available made combining clips of music into whole tracks very difficult. Therefore, most tracks heard here are not entirely complete, and all of them have various voice actors doing monster roars in them. 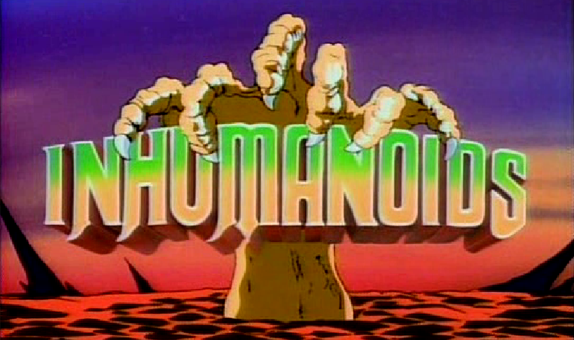 Inhumanoids was quite a noisy show, as well as having a very limited amount of episodes.